After spending two lovely days in and around Siem Reap, we hired a car and a chauffeur to drive us to Phnom Penh. 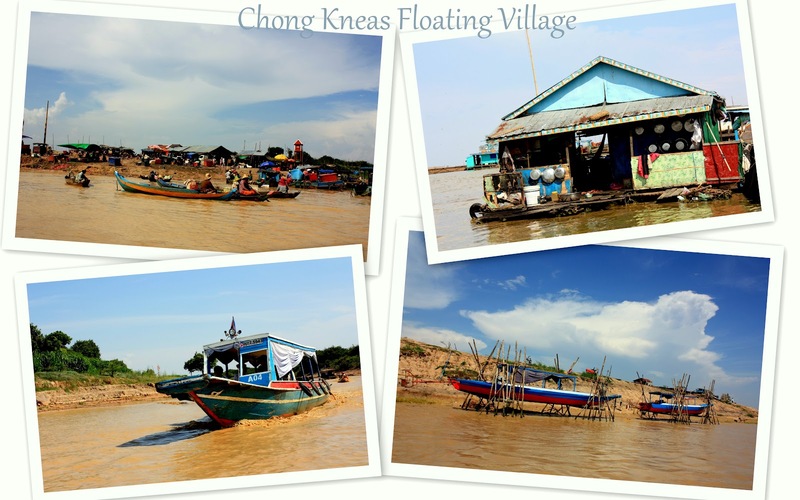 Although we had initially thought about taking a flight, the 5-hour drive was much cheaper at only USD $70 and was a great way to explore the true Cambodia. 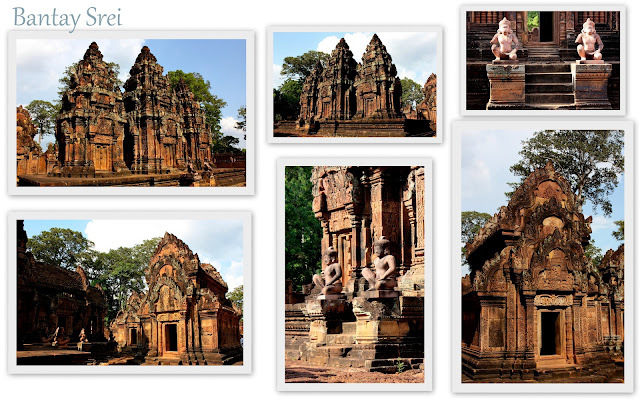 We left Siem Reap around 7.00am and on the way we spotted a beautiful temple. The architecture looked great but it seemed like it was abandoned. It was dirty and dusty with many dead insects lying around. 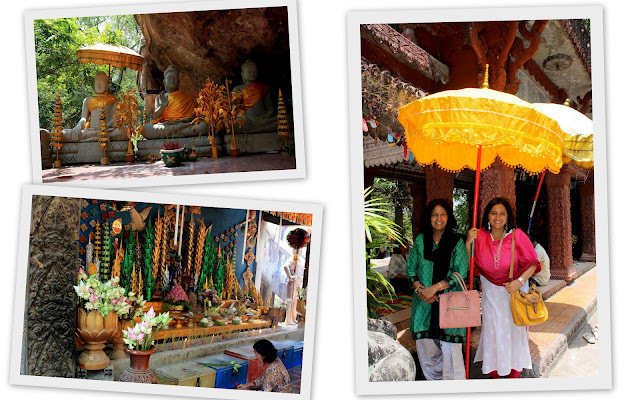 Nonetheless, we admired the temple's colorful decor and Gods. I don't know the name of the temple but I believe there is only one route to Phnom Penh and we saw a few other similar temples, so you should be able to visit something! I love these doors! I wish we had one like that at home! Each statue was so unique and I loved pretty much everything about this temple - including the pillars! 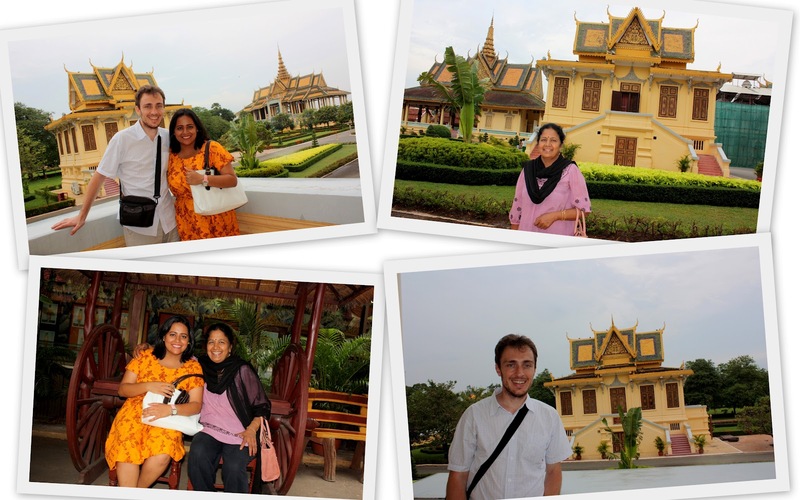 We finally reached Phnom Penh around 1pm and checked in to the Juliana Hotel. 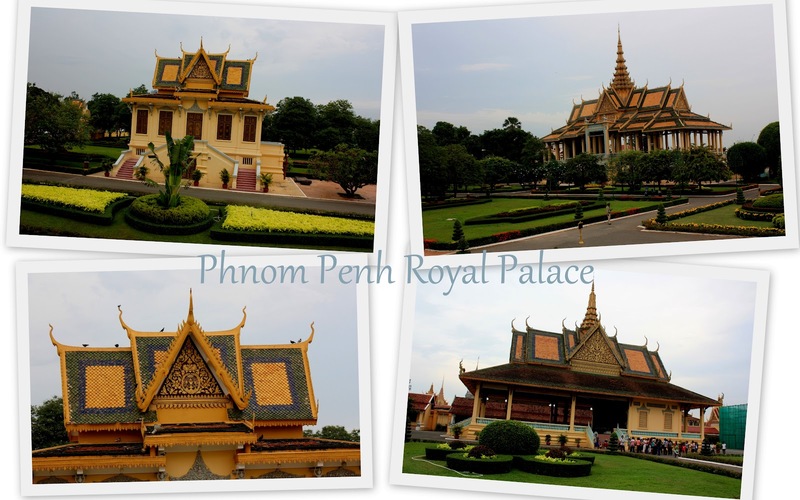 After some rest, we first headed to the magnificent Royal Palace. The Royal Palace is where the king of Cambodia resides and it is divided into three main compounds: the Silver Pagoda, the Khemarin Palace and the Throne Hall. The palace is surrounded by beautiful well maintained gardens and the architecture of the building is typically Khmer. It takes about an hour to explore the palace grounds and certain areas that are open to the public and it is definitely the biggest highlight of any trip to Phnom Penh. Although Cambodia has many wonderful things to see and experience, there is also a very dark and haunting past behind it - the deadly Khmer Rouge. Known around the world as one of the most horrific periods in modern history, millions of Cambodians have suffered under their very own people. The Khmer Rouge was a communist party formed in 1968 and ruled Cambodia from 1975 - 1979. It was led by Pol Pot whose objective was for Cambodians to mainly work in agriculture. Anyone suspected of engaging in the free market was tortured and killed. The Khmer Rouge was extremely brutal in their regime - they controlled everything in the locals' lifestyle including who they could talk to and what they wore. Many intellectuals, children, minority groups and anyone suspected of being a traitor was severely dealt with. The worst part of it all was that it was Cambodians killing Cambodians. Near Phnom Penh, in the village of Choeung Ek, there is a place known as the Killing Fields, which is where mass executions of the local Cambodian people were carried out by the Khmer Rouge. In the middle of the fields is a big monument with about 8,000 skulls of the people who died. People can offer prayers there if they wish. At first glance, the fields look plain and bare and one wouldn't even think that millions died here. We were given audio headsets to listen to which guided us to each spot to explain what happened there. The spot which was most terrifying for me was the Chankiri Tree, also known as the Killing Tree. 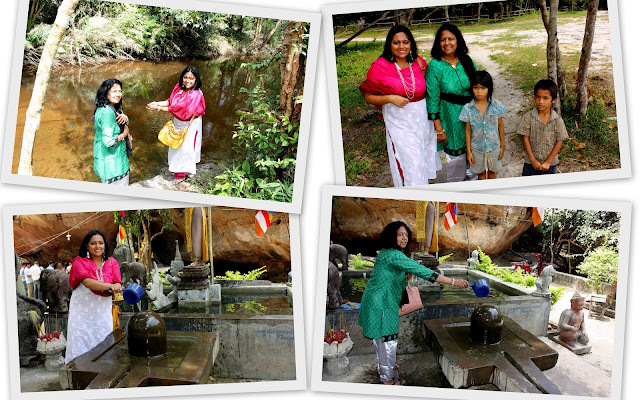 Here is where the Khmer Rouge smashed little children against the tree for "crimes" that their parents had committed. They wanted to get rid of these children so that they wouldn't grow up to seek revenge. As they killed the kids, the heartless Khmer Rouge laughed as if they didn't, it would mean that they were sympathetic and could in turn become a target as well. It was really sad to hear about how cruel humans could be to one another, that too to innocent children. Our time in Cambodia came to an end with one of the best massages we have ever had in Juliana Hotel. It was a Khmer massage which does not use any oil. We bravely signed up for the 2-hour massage for just USD $15 and boy, were we in for a real treat! We were given pyjamas to wear and then started all the action! Never have I had my body twisted and turned in every possible way! Beats yoga any day! After two wonderful hours, we couldn't feel our bodies anymore but it was so good to get rid of all the tensed muscles! 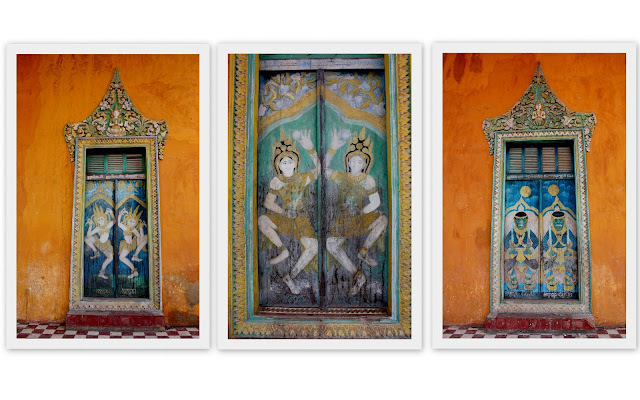 We left Cambodia with our hearts filled with special memories of a truly beautiful place. The humility and simplicity of the locals was heartwarming and we felt very welcome in their country. 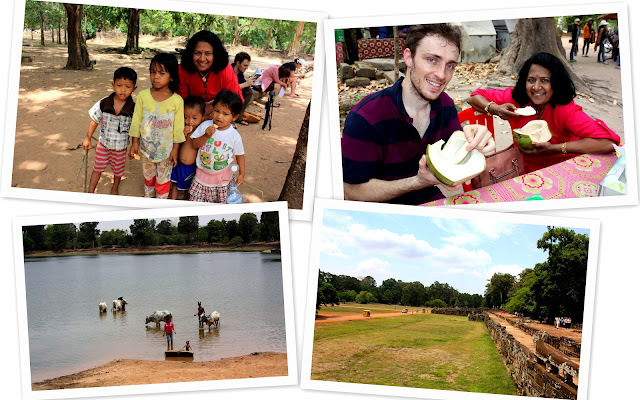 It was great to experience the unique Khmer culture and learn about its vibrant history and turbulent past and also get in touch with the locals. A must-see destination for anyone interested in culture, religion and beautiful architecture! 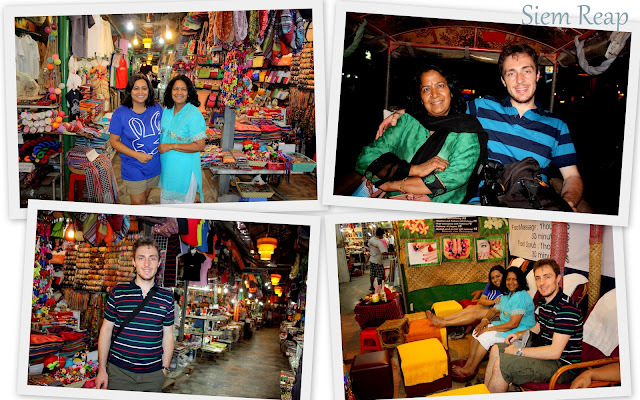 Next up, travel with me to another enchanting place - I have yet to decide but it will definitely be a fascinating one! 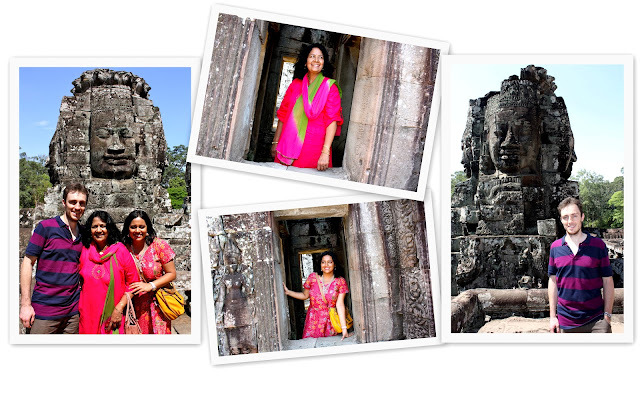 Angkor Wat - a place that's been on my travel to-do list for a long, long time. 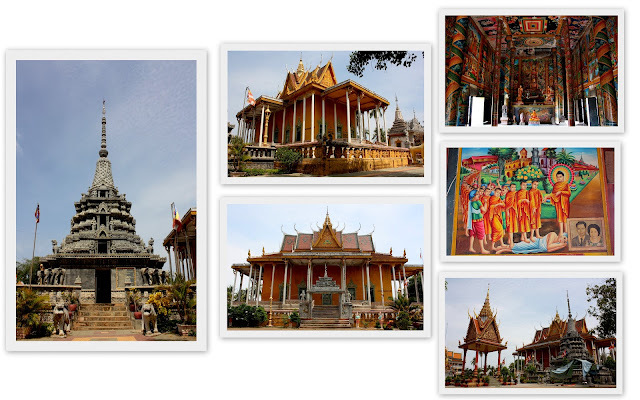 Especially since I grew up in Singapore and given its close proximity to Cambodia (only 2 hours by flight), one would have thought that I'd have visited it way back. 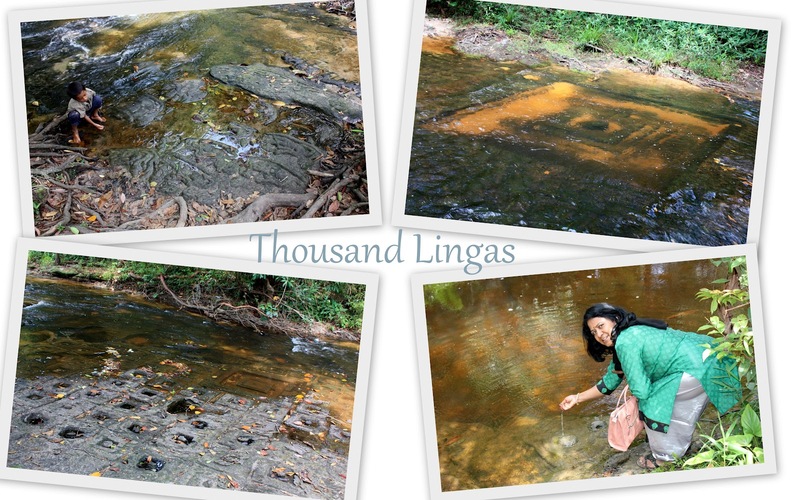 But it somehow never happened and luckily this year, we had the chance to visit it. Angkor Wat takes pride in itself for biggest the world's largest temple structure. 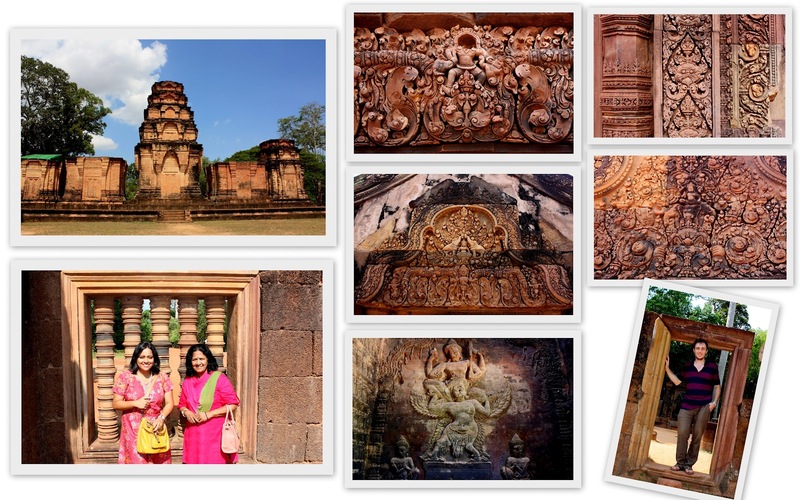 As I have travelled to India numerous times and praying in all kinds of Hindu temples has always been a big part of my trips there, I am familiar with different temple architectures and styles. Hindu temples in southern India are tall colorful towers with different statues all over them; In the north, they are not as tall or colorful but have mono or dual tones but the statues of the gods are usually bigger and more expressive - almost doll like. In Bali, which is predominantly Hindu, the culture is very different and the religion is practised in a very unique way. The temples there are very different from those in India, where Hinduism originated, and it was interesting to explore another facet of the religion. 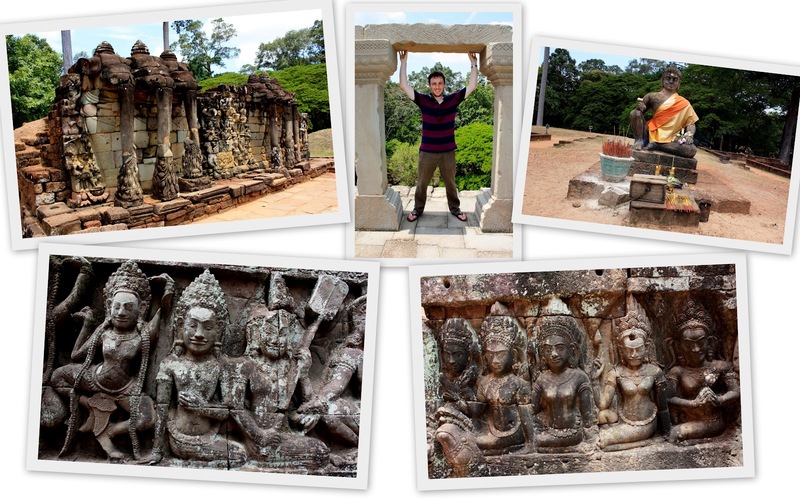 As Cambodia used to be largely Hindu before embracing Buddhism, it was interesting for me to see how Hinduism was portrayed there. Built by the ruler of the Khmer empire, Suryavarman II, in the 12th century, Angkor Wat is where Lord Vishnu is believed to have been worshipped. While I found the area to be vast, I didn't find the actual temple structure of Angkor Wat to be as huge as I had imagined. As the temples are spread out several kilometers apart, it is important to do some research before going so that you target only the sites that are of most interest to you. We stayed at the Ree Hotel in Siem Reap where we had a wonderful spacious room. We engaged a taxi driver for our entire stay in the region and we were lucky that he was a proactive, friendly and trustworthy man. He picked us up very early in the morning (around 5.30am) so that we'd make it on time to see the sunrise. It was very calm and refreshing to be up so early and not to have to worry about traffic. We first had to stop at a counter to purchase tickets which included photos of ourselves before proceeding on to the main entrance. As we were nearing, we found ourselves amongst tourists from all over the world who had flocked to see this beautiful moment in all its glory. We rushed to find the perfect spot to set our camera up and waited patiently for the sun to rise. And there it was! What a breathtaking sight! That too with the reflection of the temple towers! 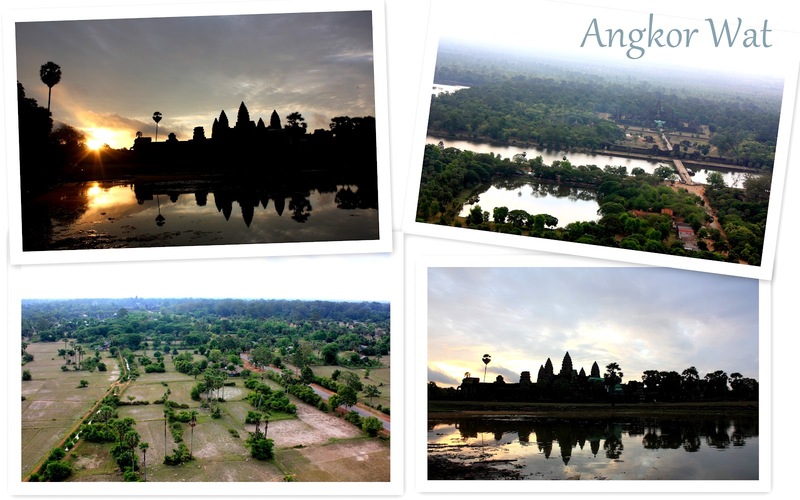 We even went up in a balloon to catch a bird's eye view of Angkor Wat. 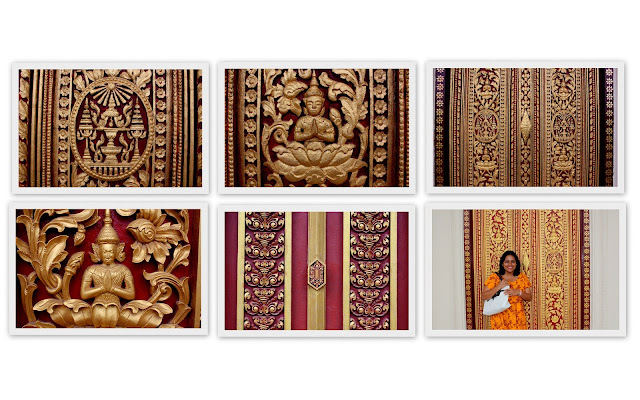 I love the carving of the beautiful apsaras! 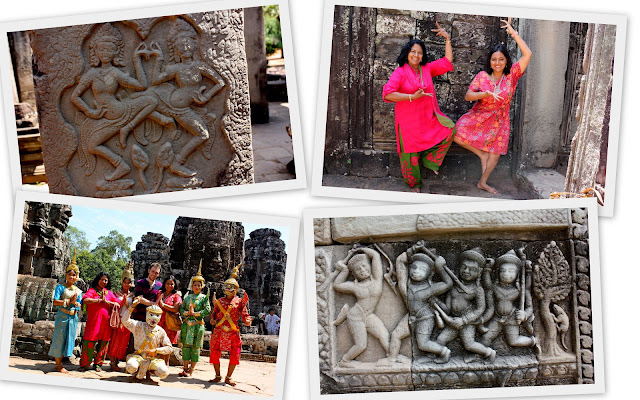 Angkor Thom which includes Bayon was my favorite part of discovering the Angkor Archaeological Park. 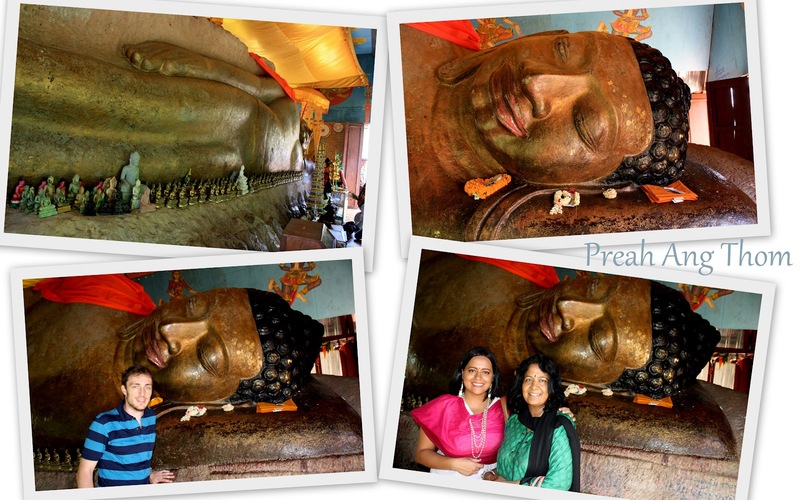 Coming literally face to face with the 216 Buddha heads was simply incredible. If you look at the tower architecture, you will notice Buddha heads on each side! Whenever I see a statue of Buddha, there is a feeling of peace and calm that takes over me. So seeing so many of them was just so great and made this place feel like heaven! Look at these magnificent carvings and statues! When it's more than 40 degrees hot, the best thing to do is to get a chilled natural coconut! Healthy, tasty and filling! As always, it's time for posing with the statues! And why not go all out and do what the statues are doing ;)! Look at the wonderful temple structure of Bayon with all the Budhha heads! 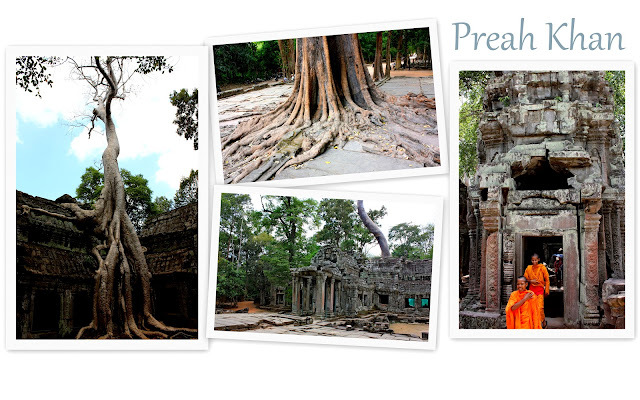 Preah Khan is known for its larger than life tree roots as you can see! It was really nice to walk around these massive structures. Our taxi driver strongly recommended Bantay Srei for its very intricate carvings and statues and boy are we glad that we went there. It is a little further from the rest of the temple complex but well worth the visit. 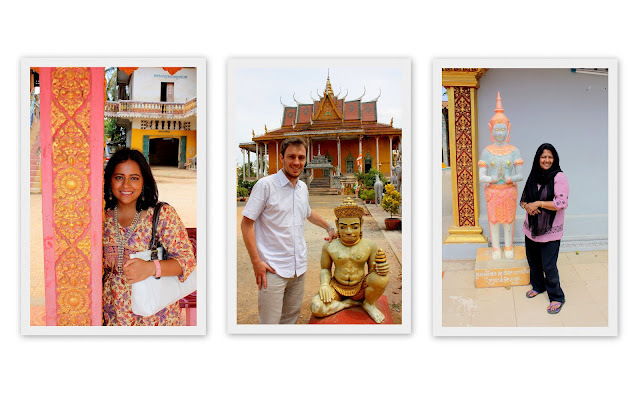 We managed to cover all of these sites within a day, so that's why if you carefully choose the places you want to visit beforehand, it makes it a lot easier to get things covered. Overall, I really enjoyed visiting the Angkor Wat temple complex. It was great to see all of these old monuments and I feel blessed and privileged to have had the opportunity to make own of my dreams come true. The only thing I felt disappointed with is that the whole site gave me the vibe that it was abandoned. It was not active and the place was not alive. Unlike Hindu and Buddhist sites in India and Bali, it seemed as though the whole religious feel of the place had vanished, which I found sad. It would have been great to see the place remain connected to its religions in a stronger way! Next up, our adventures in the areas near Siem Reap! 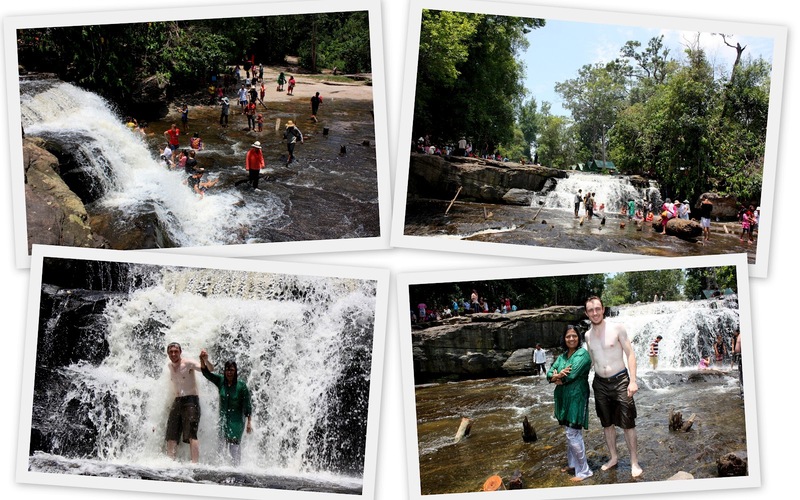 Cambodia - a dream destination. 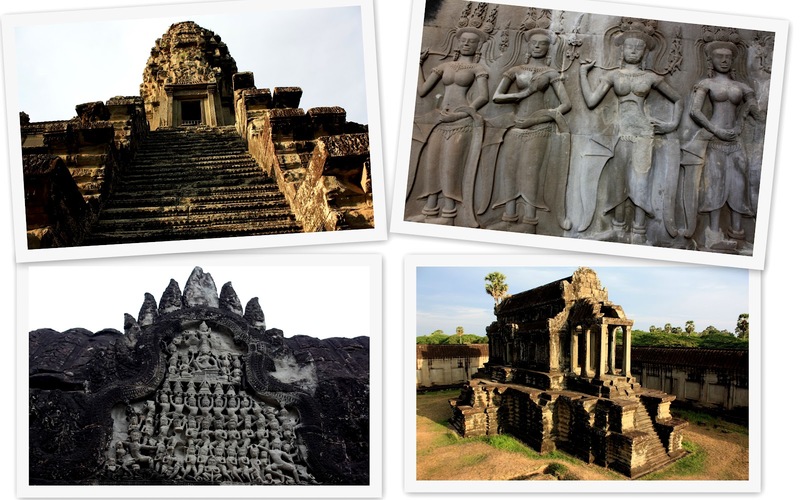 Mostly known for its magnificent Angkor Wat temple structure and its brutal Khmer Rouge, Cambodia is a country of extremes - the richness of its architectural wonders vs. the simplicity of its poor people, the warm and humble locals vs. the harsh and bloody regime of Pol Pot, the culture and traditions of the natives vs. the French colonization. 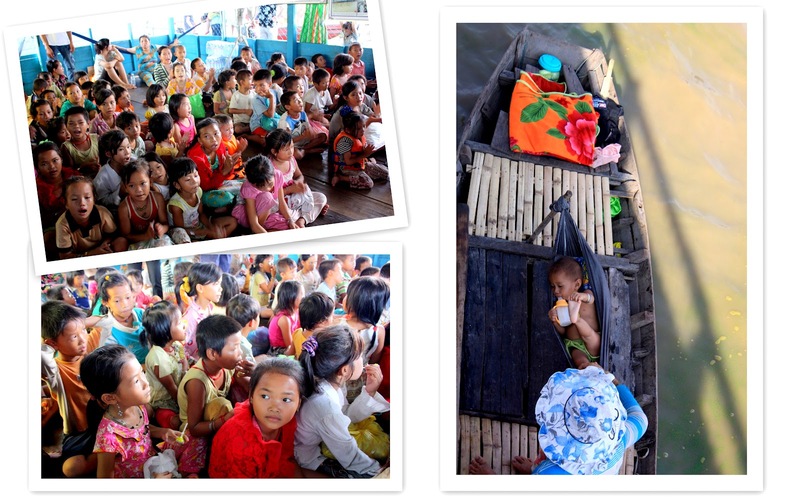 Throughout its history, Cambodia has gone through highs and lows. 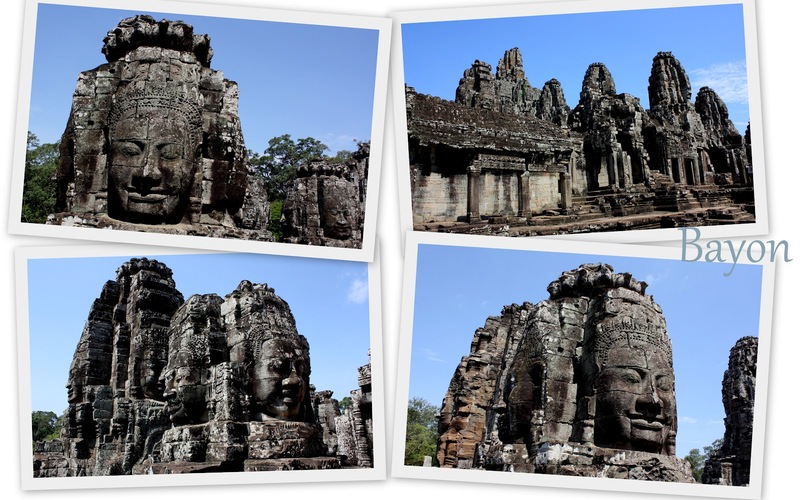 About a thousand years ago, the mighty Khmer empire was a major power in the region and stretched to include parts of modern day Vietnam, Thailand, Myanmar and Laos. Today, however, the country is one of the smallest in South East Asia. The Angkor Wat is the main purpose of most people's visit to the country and it's quite obvious why. The temple was built by the Hindu king Suryavarman II of India in the 12th century and was later expanded by his successor. 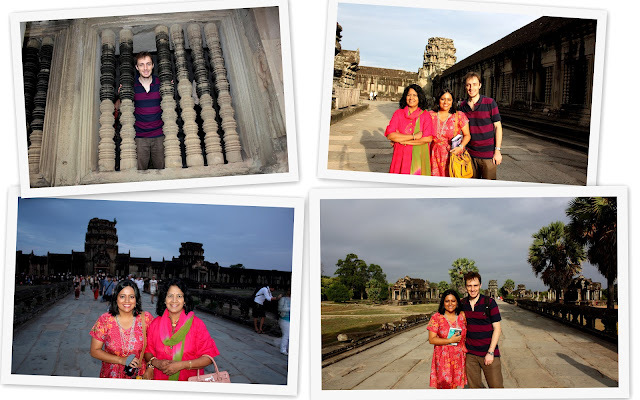 As Hindus, the site was of particular importance to me and my mother and along with David, we planned a 5 day trip to Cambodia. 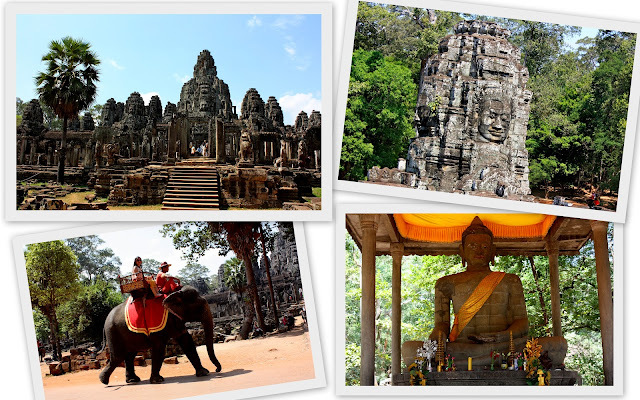 We spent most of our time in Siem Reap, Angkor Wat and the surrounding areas before taking a private car to the capital, Phnom Penh. 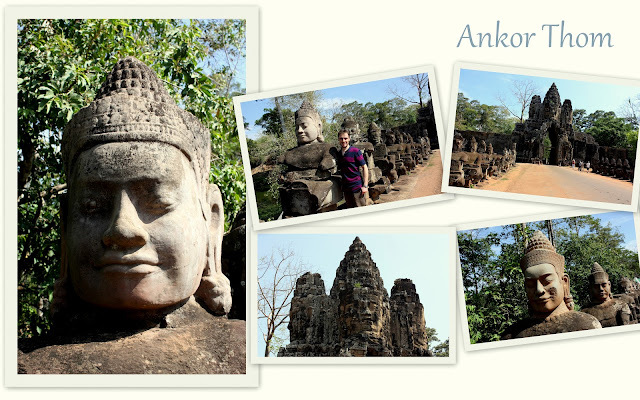 I'll write about Angkor Wat in more detail in the next post!